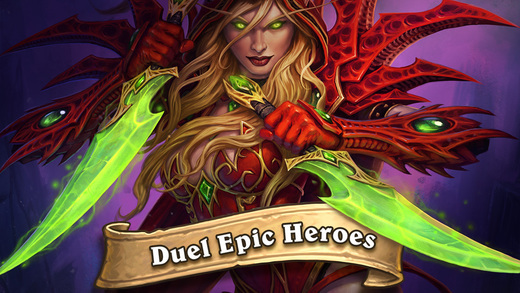 Blizzard's online card game Hearthstone: Heroes of Warcraft is now available on new platforms. Blizzard just released the iPhone and Android phone versions of the game worldwide. 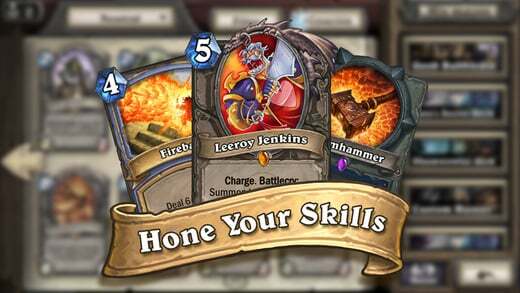 Hearthstone's iOS version can be downloaded for iPhone 4S or later. It's also playable on iPod touch 5th generation. The list of supported Android devices hasn't been announced yet. However, you'll need Android 4.0 and later at a minimum. 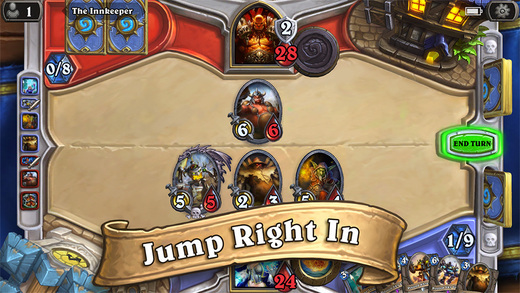 The iPhone/Android version of Hearthstone is largely the same as the game you've been playing on PC, Mac, and tablets. Players choose between iconic Warcraft characters like Jaina and Gul'dan, each with distinct abilities and access to different cards. They then play head-to-head battles against A.I. or human opponents. The gold you earn in battles can be used to buy new sets of random cards for your collection. The game itself is free. However, there are optional purchases for cash. You can spend real-world money on card packs if you wish. The expansion likewise can be purchased for gold or money. You can use the same Battle.net account for all versions of the game. This means that once you start up the iPhone or Android smartphone versions of the game, your progress and friends list will be immediately accessible. You'll have access to all of the expansions released since Hearthstone's launch last year, too. The game's post-launch expansions include single-player adventures Curse of Naxxramas and Blackrock Mountain along with themed card collection Goblins vs. Gnomes. The only new feature for the smartphone versions is a redesigned user interface. A phone's obviously has a much smaller screen than a PC or a tablet so Blizzard had to adapt the game so it was still playable at that scale. 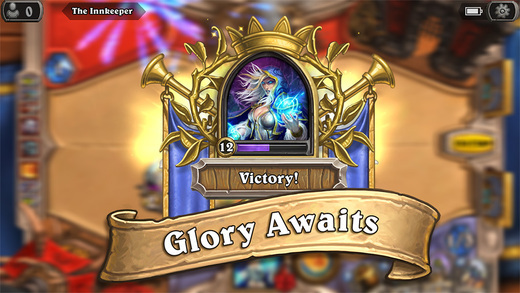 The UI work is largely the reason that Blizzard delayed the smartphone versions to 2015. You can see a few screenshots of the new interface in the gallery below. The studio also found a way to shrink the file size for Hearthstone to make it more smartphone-friendly. The file size of the game is about 1GB on all platforms now thanks to the latest patch.